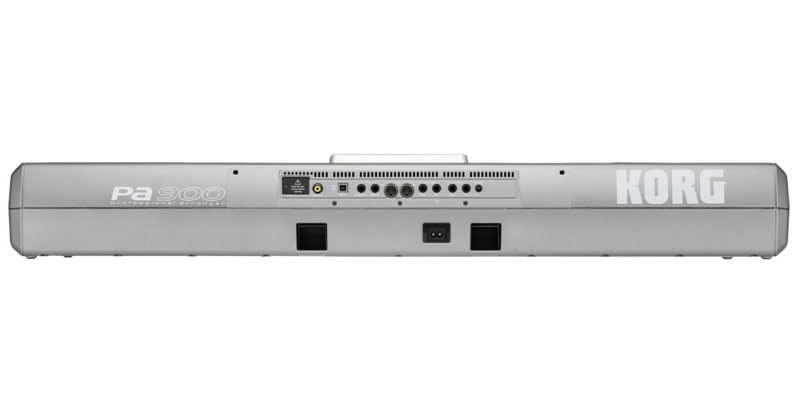 The Pa900 sound engine uses double the PCM memory of the best-selling Pa600 and extends the amount of User PCM memory to 192MB. The number of user Style locations has also expanded to a maximum of 1,200 which will cover almost every style imaginable. The improved built-in speaker system produces a strong, rich sound that’s enhanced by standard features such as the TC Helicon Vocal Harmonizer, a Dual MP3 player & recorder, and the Dual Crossfade Sequencer. 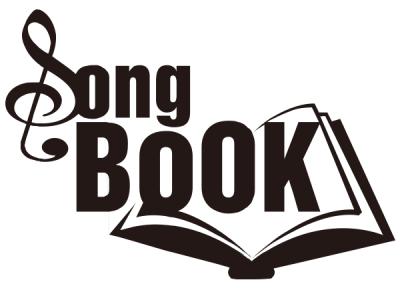 Video output is supplied as a standard function, so your audience can sing along to the onscreen lyrics. The Pa900 packs all this in a high‐quality case with aluminium side-panels in a silver body to provide a prestigious look on any stage! With more power than ever before and numerous great new features, the Pa900 sets a new standard for arranger workstations. A massive leap forward from the legendary and best selling Pa800, Korg has raised the bar of excellence to a new level by offering new realistic sounds and powerful new features, delivered in a slim and professional looking design, at an even more affordable price. 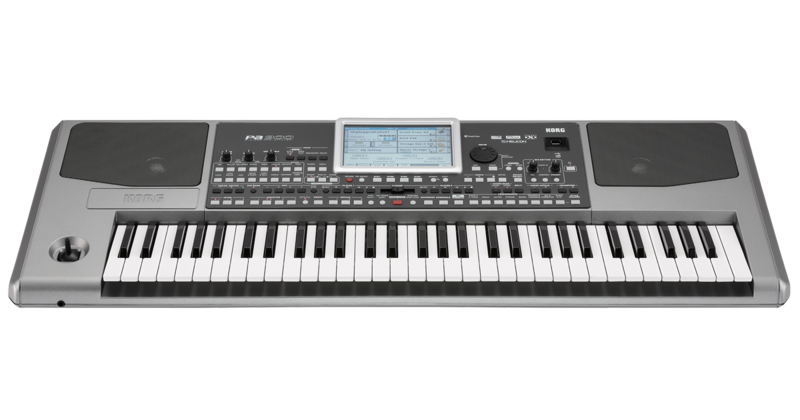 Korg is responsible for the most successful and respected arranger keyboards ever. Used by tens of thousands of music professionals in every country around the world, Korg arrangers have thrilled audiences and delighted players everywhere with the magic combination of unbeatable sound quality and features. Korg’s RX (Real eXperience) Technology blends this great Korg history with powerful new technology and ideas from musicians around the world to deliver a new standard in arrangers. 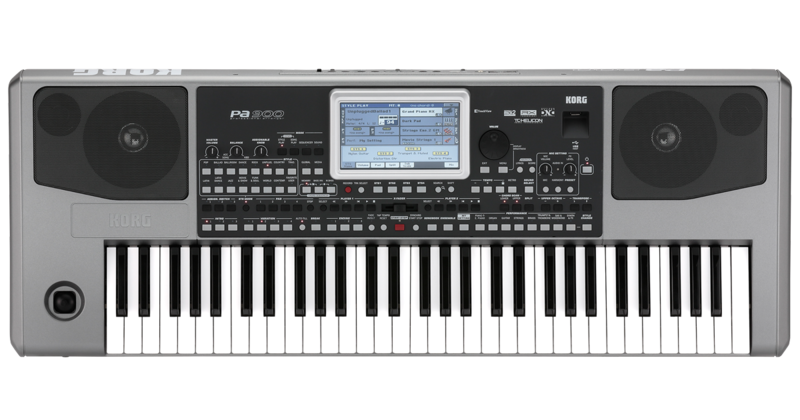 The result is a musical jewel that packages technological magic into a cool and user friendly design: the Korg Pa900. The Pa900 has been designed with the concept of combining a slim shape with a professional look. But while its size might appear diminutive, its sound is huge, thanks to the power of the onboard high-quality custom designed amplification system. The 2×20 Watt amplifiers drive the 4 loudspeakers in a bass-reflex enclosure to generate a rich, powerful listening experience. The main panel has been redesigned and optimized to ensure that buttons and knobs are ergonomically and intuitively well positioned to enhance any performance. Our graphical user interface is now even easier to read and has been renewed with more detailed icons and objects thanks to the new large TFT Graphical Color Touch Screen display. So that musicians of all levels can make great music quickly, there are two interface modes: Easy and Expert. The Easy mode shows only the most important controls while keeping a clean and straightforward interface, useful for beginners or playing live. Of course, in Expert mode you have full editing control. When you do not remember where a file, a song or a style was saved, just use the Search function to let the Pa900 find it for you. 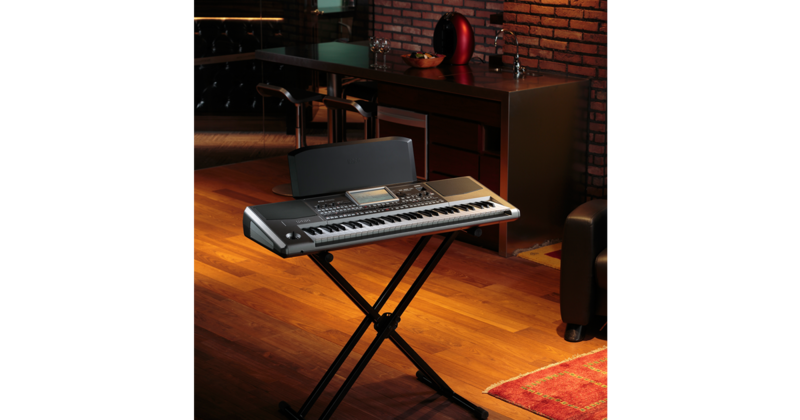 Based on Korg’s sophisticated sound engine, the Pa900 provides truly outstanding new sounds. Our RX (Real eXperience) Technology and the DNC (Defined Nuance Control) system refine an already powerful sound engine, allowing the performer to accurately and expressively introduce the most subtle nuances and sound articulation. Assignable switches have been added to the joystick control, resulting in deeper control and rich expression. Thanks to DNC, you can reproduce subtle articulation sounds that are typical of most acoustic instruments, for example, the growl of a passionately-played saxophone, elements of the breath found in wind-Instruments such as trumpet, clarinet and harmonica, and the added characteristics that give added authenticity to the pizzicato and bowed sounds of a rich string section. Many demanding professional sampling sessions with some of the finest musicians in the music industry have resulted in more detailed natural sounds than ever before. More than 1,100 sounds, including a new stereo grand piano (with string resonance and damper realism) and new electric pianos from the acclaimed KORG SV-1 stage piano; new wind instruments, basses and stunning guitars; plus new digital drawbars with leakage and key on/off noises provide the perfect sound foundation for any harmonic and melodic need. More than 70 drum kits give life to any rhythmic texture and sound truly authentic due to the Drum Family Easy Editing feature, which gives total control over volume, pitch, EQ, and more. Up to 192 MB (PCM User memory) are available, so custom sounds can be added easily. 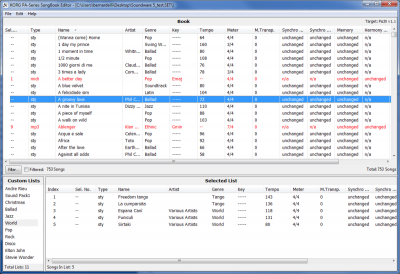 The General MIDI (GM) sound bank has been improved for better compatibility with GM files. 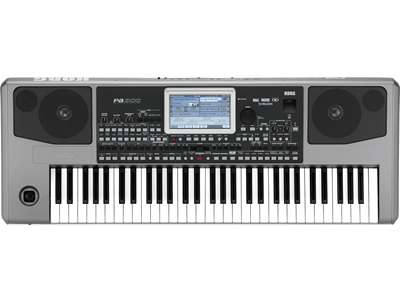 The Pa900 can also load/import Korg, WAV, AIFF, SoundFont™ formats and export in WAV or AIFF. Sounds can be fully edited, and can now use up to 24 oscillators for each note! 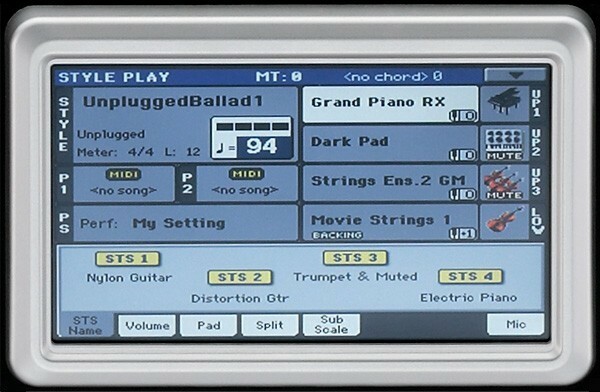 *STS – Single Touch Settings are memories that recall sounds for all the keyboard tracks (Upper 1, 2, 3 & Lower).